Excellent package with brilliant results, but I need a way to use web fonts or failing that embed fonts to get the same experience across platforms. 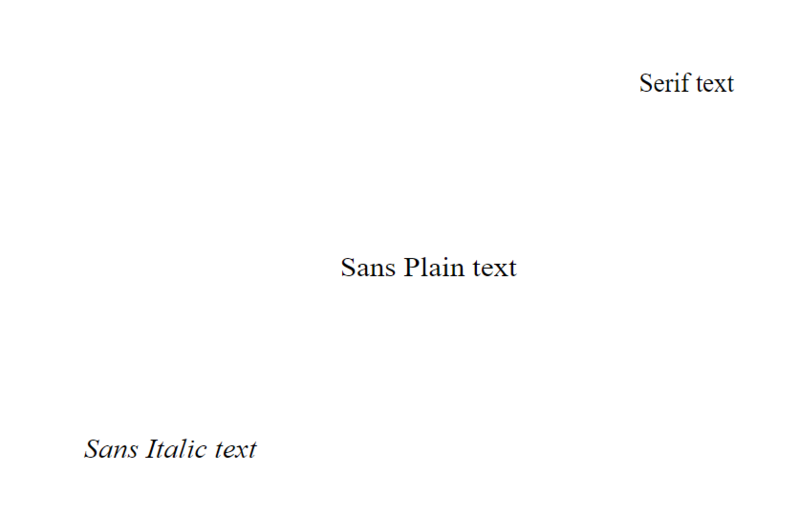 The user_fonts argument should do the latter of these if I understand the vignette properly, but the example in the vignette does work for me. But I don't remember much about all this. It's quite possible the documentation needs to be updated! Note that the font must be installed on all computers that will view the SVG. If that's for a website, you might need to define CSS font-faces to pluck webfonts from a remote source. There is information about the font family / name in the font file that we may be able to use to infer the name: system2("fc-scan", serif_file). We don't currently have the resources to work on svglite though. Thanks. I opted to make the SVG import the font itself - http://freerangestats.info/blog/2019/04/07/fonts-and-stuff - by hacking the svg file after it's been created. Not sure if this fits into the svglite philosophy. Would it be worthwhile me trying to make something consistent with the overall svglite approach and submitting a pull request? (not promising I can get to it, but maybe...). Note that you still need to supply the fonts to svglite in any case, so the textbox metrics can be computed properly. Would it be worthwhile me trying to make something consistent with the overall svglite approach and submitting a pull request? If you think you have a better approach that fits (or updates) current svglite tooling and follows best web dev practices, please go for it! Happy to review a PR.